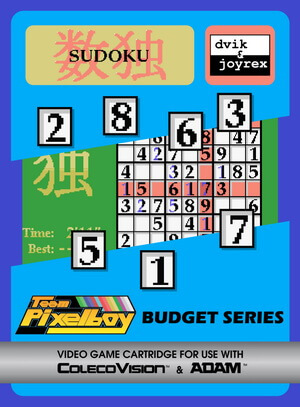 To solve a Sudoku puzzle, place a number into each cell so that each row, each column, and each small 3x3 box within the larger puzzle will contain every number from 1 to 9. In other words, no number may appear more than once in every row, column, or 3x3 box. 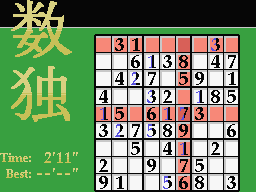 The game is initialized with predefined numbers and the objective is to complete the puzzle with the missing numbers that will lead to the correct solution. 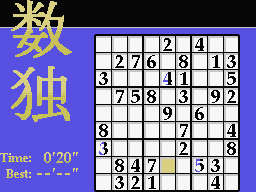 The game features three levels of difficulty: Novice, Adept, and Master. This game is part of the Team Pixelboy Budget Series.